Since L has been born he's been on an airplane twice (12 weeks and 1 year) and taken two 5-6 hour road trips (5 months and 10 months). It's my personal opinion that traveling with a breastfeeding baby is easier than bringing formula with you, but then again, everything about formula seems inconvenient to me so I might not be the best judge! I will say that breastfeeding a 12 week old when traveling by plane and then breastfeeding a one year old are very different experiences! And traveling by car certainly has different challenges as well! As we are approaching summer, and therefore the time of family vacations, I wanted to share some tips to make travel, by any means of transportation, a little easier. 1. If you're flying and have a layover, check out the airports website to see if they have a nursing mothers room - the bigger airports (where you're most likely to layover) tend to have facilities for nursing mothers. 2. If you're a little shy about nursing in public, try and book a window seat. You're more hidden and will, hopefully, be more comfortable. 3. Remember you can bring breast milk through airport security and there is no limit to how much you can bring. You'll most likely have to have additional screening, like checking your hands for explosive residue, but they will let you carry on as much as you have. Just let them know you have it when you get in line. 4. Since new babies eat a lot, if you're traveling by car in the early days try and plan your stops around your baby's feeding schedule. No one wants to stop at 12 for the adults to have lunch only to have to make another stop an hour later for the baby to eat. 5. Try and drive around nap time. Get in a good feeding and then start your trip. 6. When your baby is older, if you get slightly off of their feeding schedule it's not the end of the world. Your little one will let you know if you need to pull over RIGHT NOW for a feeding. 7. Pumping in the car is awesome! They make car adapters for most pumps so you won't go through a ton of batteries. It's the ultimate multi-taskig! 8. 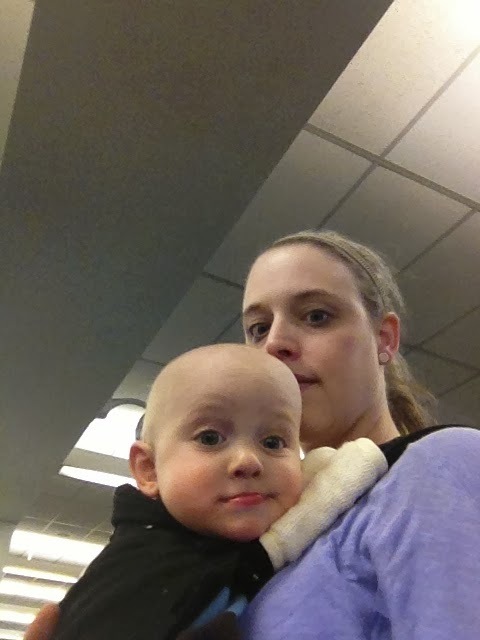 Babywearing can make travel, by plane, car or train, so much easier. Practice nursing in your wrap, sling, or SSC a few times before your trip and you'll be able to nurse your LO while going from gate to gate or when you stop for a much needed leg stretch. This was L after we landed in Florida for our recent Disney World trip. 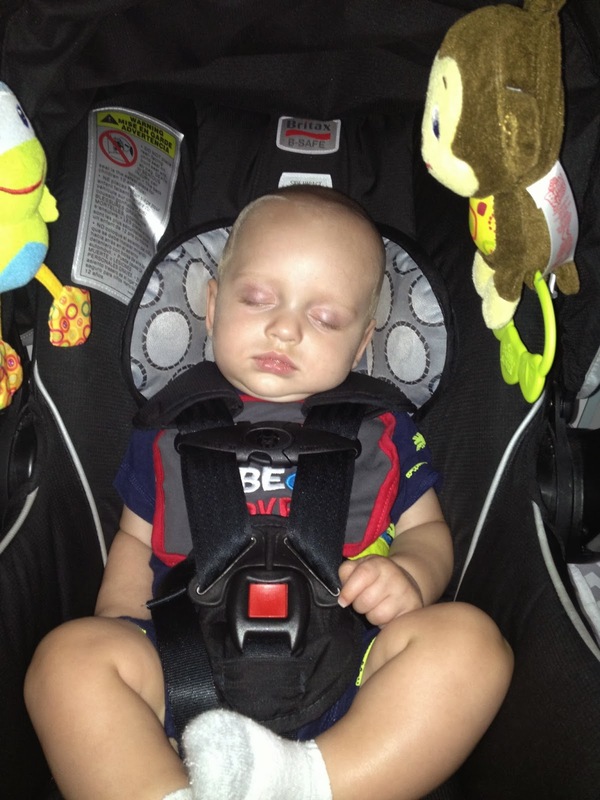 Have you traveled with a nursing baby? If so, what advice would you give someone doing it for the first time?